Non-profit organizations bring people together to learn, raise awareness, problem solve, and celebrate success. 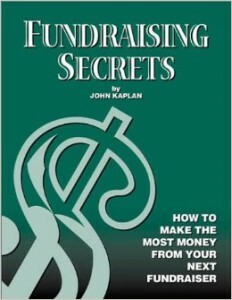 A traditional and widely used way non-profits fundraise is through auctions. But accomplishing a successful auction can be a difficult task. Quality fundraising items are at the crux of a good auction. Don’t underestimate the validity of themed auction baskets. Get creative with these items. Wine and cheese baskets, fruit baskets, and gift card baskets are all staples of any fundraising auction, but don’t fail to provide auction baskets geared towards men specifically. Tackle boxes with fishing gear, sports paraphernalia baskets, and Golf baskets with golf balls, gloves, visors, and club covers are just a few obvious winners. It is also essential to supply auction baskets in various prices. Baskets can be helpful for grouping together low-priced items. Every non-profit is different. A non-profit focused on the traditional education of fine art will not have the same guest list as a political think-tank non-profit focused on the news of Capitol Hill. Similarly, your event shouldn’t have the same item inventory list if it was held in the rolling mountain range of Montana, as it would have if you held the event in New York City. Tailor your fundraising items to your niche of guests for that specific event. It is crucial to not only have good fundraising items, but also have the right amount of items at your auction. Too many organizations hold events with too many or too few fundraising items. Both extremes can be detrimental to the success of the event. Use the “One to Four” rule: One item per four guests. This can be used as a guideline to help you plan your fundraising items for your auction. Laying out the fundraising items for your auction can be just as important as the item itself. There are a lot of factors to think about when you are planning around the amount of space you have for your event. Leave enough space in between your baskets. Otherwise, bidders won’t be able to navigate through the auction easily. The grouping of your auction items is also a factor. Don’t group your items solely by price range. On the other hand, don’t hide your highlighted items in a mix of lower-priced items. Finally, placing your items close to music, the bar, and the hors d’oeuvres will make your auction more fun, social, and engaging for your guests.